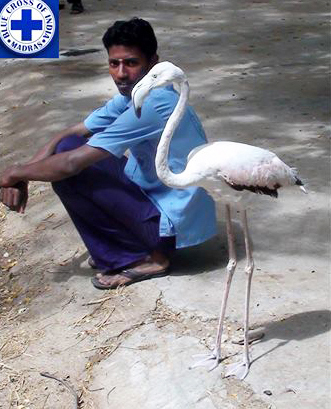 One of Blue Cross’s volunteers, Mr. Selva Kumaran, a student in AVIT College of Engineering, Mamallapuram, rescued a Greater Flamingo near a vacant plot at Ekkaduthangal and carried the bird, that had minor injuries, to the Velachery shelter. The Flamingo weighed more than three kilograms (7 pounds) and was 3 feet 5 inches tall. After receiving first aid, the bird was transferred to the Zoological park. She is doing well with access to fish in a pond and is being given the best medical care. Blue Cross and its volunteers rescue many animals every day. Photo: Courtesy of Blue Cross of India. To visit Blue Cross’s Facebook page, click here. This cow was treated by Dr. Sashanka of JBF (Just Be Friendly) and his team for a very serious hoof problem, from which she recovered well. 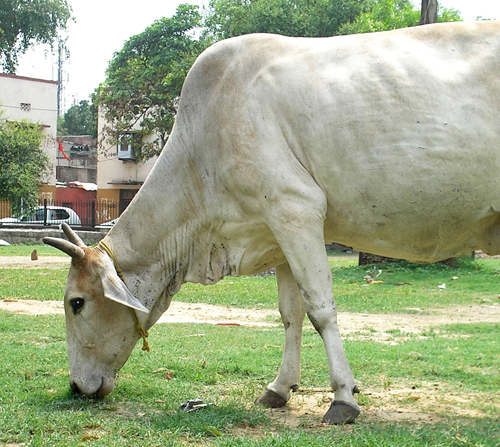 While her foot was healing, she enjoyed munching on grass and being with other cows. Kotla Mubarakpur, south of Delhi, is a residential and shopping area and is JBF’s main area of operation. JBF operates mobile clinics, which provide on the spot treatment for cattle, in both Delhi and also in Guwahati, in Assam, in North East India. 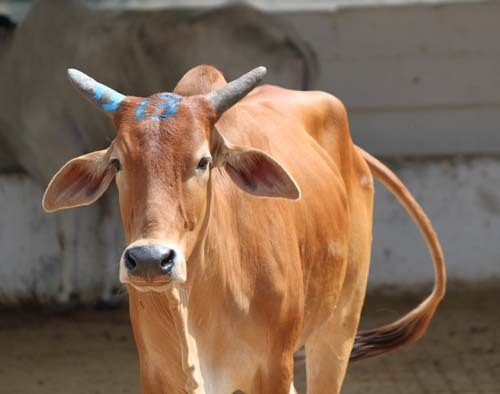 In 2012, JBF’s Delhi Mobile Clinic provided vet treatment to 3,000 cattle, mostly those with hoof or horn problems, and some with injuries from traffic accidents. If a cow being treated needs hospitalization, then with the help of others, they transport the cattle for treatment to a hospital that has a shelter for cattle. JBF also runs a very active spay/neuter program for community dogs in Assam and conducts nature camps for Assamese children. Their disaster response teams saved the lives of hundreds of cattle during last summer’s devastating floods. To visit the website of Just Be Friendly, click here. To give a U.S. tax-deductible donation to JBF through Help Animals India, click here. On July 10 and 11, 2013, ESAF (Egyptian Society of Animal Friends), in a joint project with the UK organization SPANA (Society for the Protection of Animals Abroad), which helps working animals, has resumed their aid to the Pyramids animals, in a program that will continue for two months. These animals, mostly horses, donkeys, and camels, are used to carry tourists visiting the Pyramids. During times of unrest, when there are no tourists, the animals suffer greatly from lack of food and care, since their owners lack income with which to care for them. ESAF has been providing aid to these animals for a number of years and intensified their efforts after the Egyptian revolution in 2011. The feeding and vet care program has been a great help to the horses, since most of the animal owners are poor and suffer hardship whenever the tourist trade grinds to a halt. ESAF continues their work with the Pyramids animals whenever they can, depending on the generosity of supporters. On Wednesday July 10, 159 animals were fed and given vet care. Some were quite thin. The food included barley, corn, hay, and greens. 150 were horses, along with two donkeys and seven camels. The next day 194 were fed and treated – mostly horses, along with four donkeys and seven camels. SPANA provided the food. Medication, nosebands, and flymasks were covered by other donations. They replace nose bands made of metal wire with soft cloth nosebands. 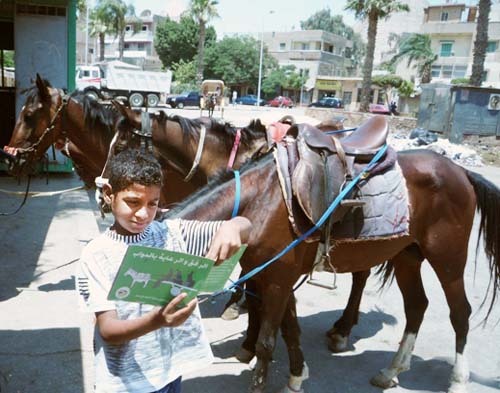 The groups also gave out booklets on the proper care of equines. As well as thanking SPANA, Ahmed El Sherbiny, Chairperson of ESAF, also expressed his gratitude “to Janet Thomas of AAA and to Sue Evans and her UK group” for making the program possible. To visit the website of SPANA or to donate, click here. To visit the Facebook page of ESAF and to see more photos, click here. It’s another victory for clean energy and our communities scored by WildEarth Guardians’ legal efforts. This time, it’s a big one: a coal-fired power plant shut down. That’s according to the terms of an agreement we reached with a utility in southeast Colorado, which in 2009 converted a natural gas-fired power plant to coal. The settlement resolves nearly four years of litigation over clean air violations at a troublesome coal-fired power plant in the eastern Colorado town of Lamar. It also puts at ease the minds of residents and WildEarth Guardians’ members, Shirley and Charles Warren, who have had to deal with the coal-fired power plant threatening the air they breathe and the sanctity of their community. Fortunately, we were able to strike a deal with the utility that both resolved the issues at the coal-fired power plant and gave them a chance to find a better way to power southeastern Colorado. This is a major victory and a clear sign of the effectiveness of our tactics. Most importantly, it’s a testament to the power of your support. Thank you so much. For our climate and our communities, here’s hoping for more success to come. To visit the website of WildEarth Guardians, click here. 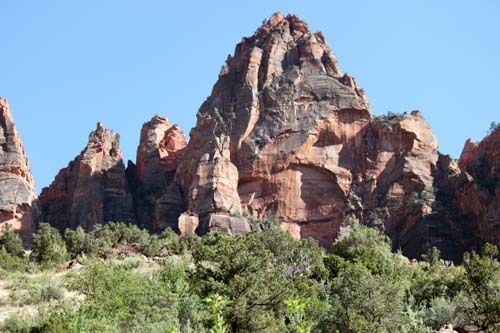 Top photo: © Sharon St Joan / Clean air, rocks and trees at Zion’s National Park, 2012. Second photo: Courtesy of WildEarth Guardians / Jeremy Nichols. I have visited India many times and profoundly admire India, her culture and her people. Please ensure that there will be a review of India’s Meat Export Policy, which is harmful to both animals and people and which runs counter to the most ancient traditions of the Indian people. Having an optimistic outlook for the future of the human race becomes more difficult when even India, the kindest of all nations, cannot maintain her age-old traditions of compassion and reverence for life. It is painful to watch India give up her noble spiritual traditions, to which she has remained true for thousands of years, in exchange for the short-sighted “modern” view of animals as dispensable — and profit (the profit of just a few) as all-important. The export of meat leads to immense suffering for the animals being transported and then slaughtered. It deprives the Indian people of much-needed water, grains, and vegetables, all of which could be available in abundance if they were not being misused to raise beef and other meat products. Meat raised for local consumption only and not for export, would involve far fewer animals and would allow for a far greater voice for the Indian people, many of whom have been and remain vegetarian, to seek the humane treatment of animals, the abolishing of animal slaughter, and the doing away with factory farming, which is exceptionally cruel and unnatural. Thank you for considering these viewpoints and for supporting a return to the compassionate principles enshrined in India’s Constitution, laws, and traditions, so that India may once again set an example for the world to follow. Photo: Sharon St Joan / Some of over one hundred bulls rescued in 2012 by Blue Cross of India, from illegal transport on the way to slaughterhouses. Today is the last day to sign a petition to the Indian government requesting a review of the Meat Export Policy. Information on how to do this is below. India has a tradition going back thousands of years of reverence for all animals, especially cows and bulls. That these animals are now being slaughtered and their meat being exported abroad is a radical departure from Indian tradition, and the policy of meat export from India must be reconsidered. Many thousands of animals are being bred and slaughtered for the sole purpose of their meat being exported. As well as legal slaughterhouses, there are thousands of illegal slaughterhouses being run in India. These illegal slaughterhouses abide by no rules and no humane standards, so the level of cruelty is enormous. There is also immense cruelty involved in the illegal transport of the animals on their way to being slaughtered. These slaughterhouses and the cruel transport to them exist only because there is such a huge market for beef, much of it exported. It takes ten times more water to raise one kilograms (2 ¼ pounds) of beef than it does to raise one kilogram of rice. Parts of India are now suffering from a drought. Raising beef is a waste of water that harms the Indian people. Only a few individuals who are producing and selling beef benefit from meat export. Meat export is harmful, not only to the animals, but to the Indian people as well, who suffer from shortages of food and water. To have a more in-depth understanding of this issue, below is the communication sent to Mr. Tiwari, the Deputy Director of Rajya Sabha Secretariat, by Blue Cross of India. It explains with great clarity and logic the reasons why the Meat Export Policy needs to be reviewed. The petitioner is sending in this plea in his capacity as the Chairman of BLUE CROSS OF INDIA, Chennai – one of India’s most active and largest animal welfare organisations which is in its Golden Jubilee Year and begs leave to file this petition praying for a revision of the “Meat Export Policy” of the Government of India urging an urgent change in the current policy. While we are an animal welfare organisation, all of us on the Governing Body of the Blue Cross of India work for organisations doing work for human beings and to us it is not a question of animals or people; it is animals and people. The petition is based on several valid grounds including environmental; economic; constitutional; legal; and opposition by several statutory bodies including the National Commission on Cattle, Law Commission of India, and the Animal Welfare Board of India. It is also based on the inherently cruel nature of the business and how abhorrent it is to our millennia old culture of ahimsa. In a case presently being heard by the Hon’ble Supreme Court, Hansraj Bharadwaj vs Union of India and others, the Hon’ble Court directed the Animal Welfare Board of India to collect and present data regarding the number of licensed and unlicensed slaughter houses in the states of India. A reading of the list is most depressing: the number of unlicensed slaughter houses in India far outweighs the number of licensed ones! And we are acutely aware that this list is incomplete – in Chennai, according to the Tamil Nadu government’s answer, there are two unlicensed slaughter houses in Chennai as against one licensed slaughter house. The petitioner avers that there are over a dozen unlicensed slaughter houses in Adyar (one postal division of Chennai) alone! In Orissa, there are 51 licensed slaughter houses versus 2073 unlicensed ones as per reports received from the Orissa government. In other words, the unlicensed ones outnumber the licensed ones by a factor of more than forty to one! Arunachal Pradesh and Andaman and Nicobar have reported that there are no licensed or unlicensed slaughter houses in both the areas – starnge that non-vegetarian items are freely available in both places!! In all states which have responded, there is good reason to believe that the number of licensed slaughter houses is accurately reported – the number of unlicensed ones reported by the states is only a small fraction of those that exist. It is further stated by the petitioner that virtually every rule in the Slaughter House Rules of 2001 under the Prevention of Cruelty to Animal Act of 1960 is broken by virtually every one of the licensed slaughter houses in India. Every rule in the Transportation of Animals Rules is also routinely flouted and authorities concerned turn a blind eye to this. The attention of the Hon’ble Members of the Petitions Committee is drawn to the FAO report, Livestock’s Long Shadow; The World Water Development Report of 2003; Brahma Chellaney’s Water – Asia’s New Battleground; Vrinda Narain’s Water as a Fundamental Right – A Perpespective from India; Sharad K. Jain’s Sustainable Water Management in India Considering Likely Climate and Other Changes; Vandana Shiva’s The Transcript, her Stolen Harvest; and her other writings; Praveen Sharma’s Water – The Hidden Export and other sources which will be referred to in this petition. It is an indisputable fact that the conversion of animal feed to meat in any form is a very low efficiency process with a conversion factor of between 6:1 and 12:1. In other words, between 6 and 12 kilograms of corn or soy beans are required to produce one kilogram of meat. In addition, it takes ten times more water to raise a kilogram of beef than it does to raise one kilogram of a water-intensive crop like rice. 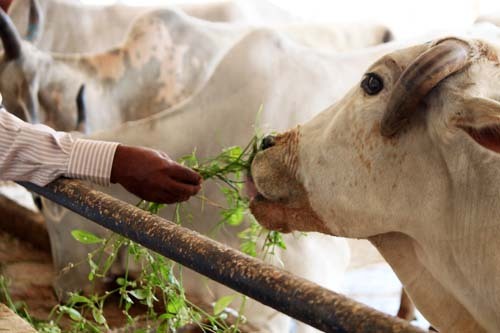 The country’s natural resources are being rapidly depleted because of the meat export business and it is estimated that 16,000 cubic meters of water is required for every tonne of beef exported. India is one of the leading exporters of “virtual water” in the world! And this, when millions of our countrymen have limited access to potable water! Water is a public and material resource, fundamental to life and meant for the common good as mandated by the Public Trust Doctrine, which is part of the law of our land and as directed by Articles 21 and 39(b) of our Constitution. Agriculture or Agricide? This is a question that must be answered by this Hon’ble Committee. No indigenous culture – not China and not India – has ever fed grain to animals. Animal have eaten what humans could not eat. The economic viability of intensive animal agriculture in India given the grain and water requirements is non-existent. The business goes on only because no economic price is placed on the vast quantities of water required and the subsidies on the animal feeds. 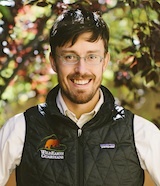 Land that can profitably be used for growing food for humans is used to grow feed for animals at great expense to the unknowing and un-informed public. In many places, fertile rice fields are being destroyed to put up sheds housing upwards of 50,000 chickens each, destroying agricultural land and causing pollution to such an extent that the lands will be rendered unproductive for crops for years to come even after the factory farms are stopped. The public health costs of the meat industry are astronomical. New and lethal diseases being born from factory farms including zoonotic ones like bird flu and swine flu have been an added burden on our public health system. The financial gains of the meat export industry are centered in the hands of an “elite” few. In addition, these people are given subsidies to set up slaughter houses and tax-benefits for exporting the country’s cattle wealth. The nation’s food security is threatened because renewable energy and renewable sources of fertilizer from rural farm animals are being destroyed. Animals are a primary source of fertilizer and draught power, especially in rural areas. According to Dr. Vandana Shiva, in the case of one export-oriented slaughter house alone, meat exports earned $45 million, whereas the estimated contribution of the slaughtered animals to the economy if they had been allowed to live was $230 million. The petitioner submits that the State is duty bound to follow the Directive Principles and the Fundamental Duty as enunciated in Article 51-A of our Constitution. We are, therefore, constitutionally bound to show compassion to living creatures. 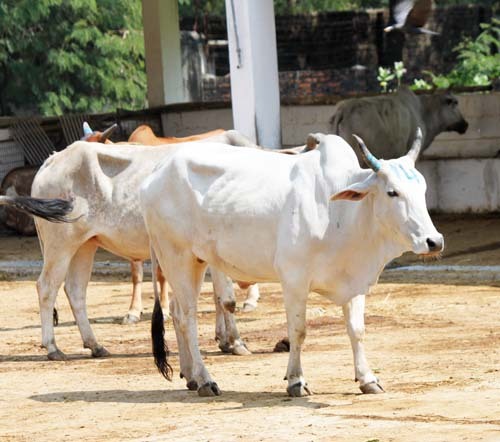 It is reprehensible to most of us that cattle are condemned as “old and useless” to enable them to be slaughtered when the ruling by the Hon’ble Supreme Court in State of Gujarat Vs Mirzapur (October 26, 2005) stated that bovine cattle remain ‘milch and draught’ even if they are so-called ‘old and useless’. The above ruling also emphasised the fact that the State is also a citizen and it is therefore required to honour the Constitutional mandate of Article 51-A. Cattle that have served us for milch and draught for their entire “useful” life cannot be slaughtered under horrendous conditions to be exported just for the sake of what is rightly called “filthy lucre”. The National Cattle Commission under the Chairmanship of Justice Lodha and the Animal Welfare Board of India – a statutory body set up by an Act of Parliament – both have recommended that the export of meat from India should be stopped. That each and every animal that is slaughtered dies with a great deal of pain and suffering cannot be disputed. The cruelty is inherent in the raising, transportation and in the actual slaughter process. 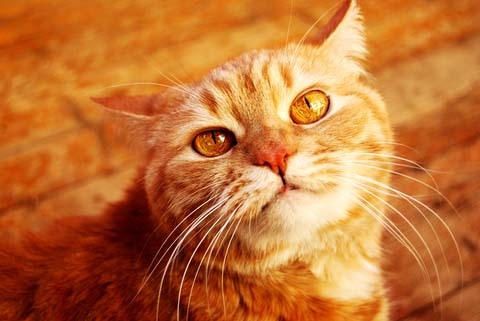 Virtually every rule under the Prevention of Cruelty to Animals Act (59 of 1960) is violated in the process. Should the country that was the birth place of Ahimsa continue to kill and export animals knowing that they are subject to the most heinous of atrocities? Photos: Sharon St Joan / Bulls rescued by Blue Cross of India in 2012, from being illegally transported to slaughter.